Well it is the 31st May, another Me-Made May has come and gone. So what did I wear this week? 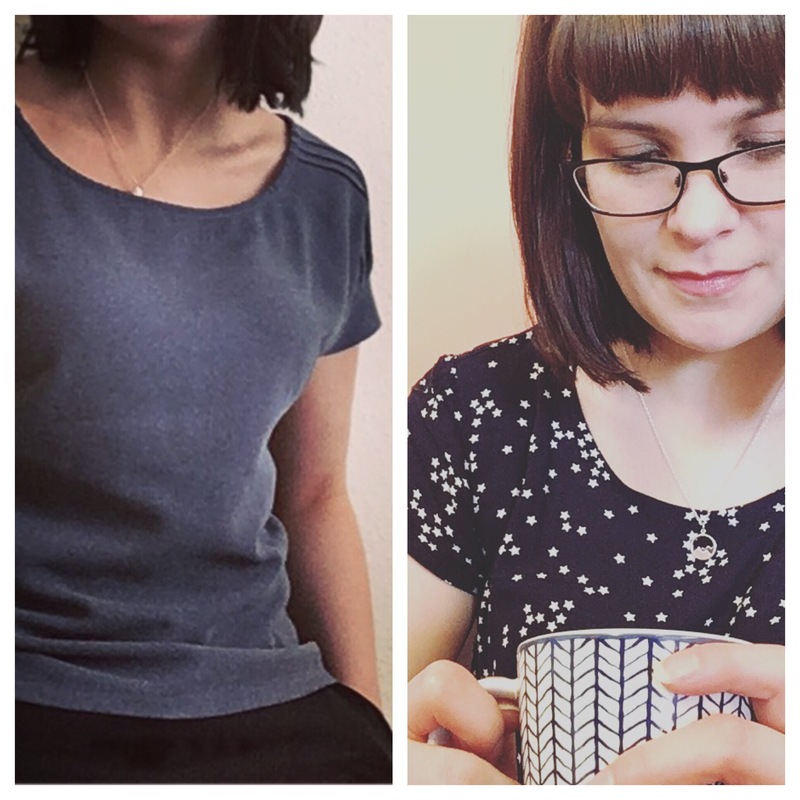 On Monday I wore the Scout tee I had spent Saturday making… because, you know shiny and new! On Tuesday I wore my Butterick 6182 blouse in white viscose. Wednesday was an absolute scorcher and I wore my kimono jacket to head into work, but then it got too hot to wear it again. It still counts right?! Thursday was still really hot, but this time I was in an air conditioned office so my Morris Blazer stayed on all day. And on Saturday I was back to the sewing desk wearing my Plantain tee. On Sunday I did put on my navy Morris Blazer to run some errands, but did I get a picture of it? Well, no. Yesterday I wore my grey crepe Belcarra blouse, and today I put on my starry Scout tee again… because I love it, and it’s all floaty light. So this whole month I was trying to just record when I would normally have worn my makes. But as the month went on I kept wanting to wear them even more. 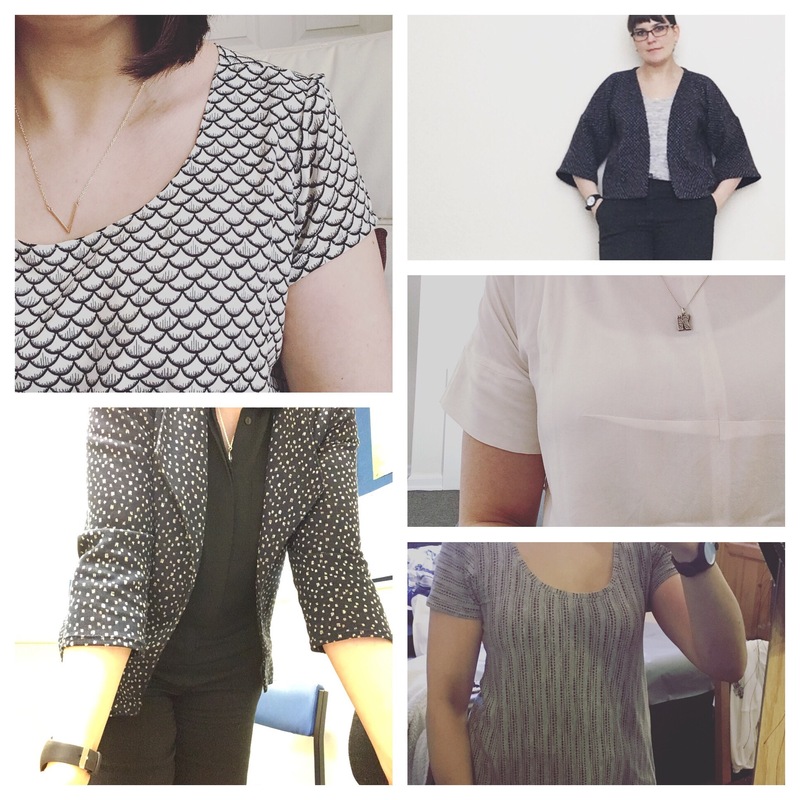 So what gaps became obvious.. work type tees and blouses. Probably because it’s more fun making play clothes rather than work clothes, but spending most of our day at work means it makes sense to spend more sewing time on that. I also think cardigans are a bit of a black hole, I’ve got a few knitted ones, but could I perhaps sew a couple too? In all it’s been a fun month. I’ve enjoyed seeing that more of my makes fit comfortably into what I like to wear, nothing out of my style zone. So in conclusion… more of the same! Hope you all enjoyed your Me-Made Mays! !